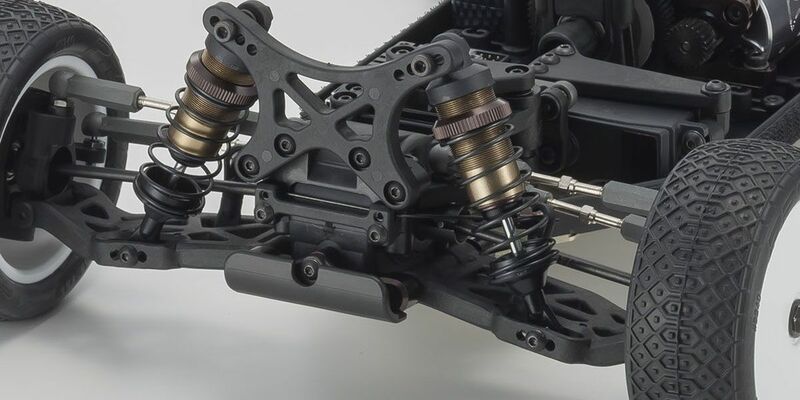 Main chassis is made of the same lightweight and high rigidity A7075 T6 material as the ZX6.6, but plate thickness has been reduced from 3.0mm to 2.5mm with increased milling to make the chassis lighter and optimize rigidity. 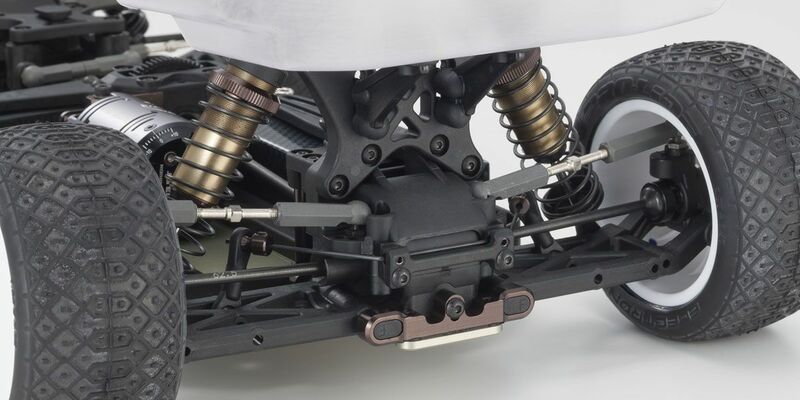 Addition of new center stiffener ensures rigidity and improves maintenance by removing front and rear torque rods. 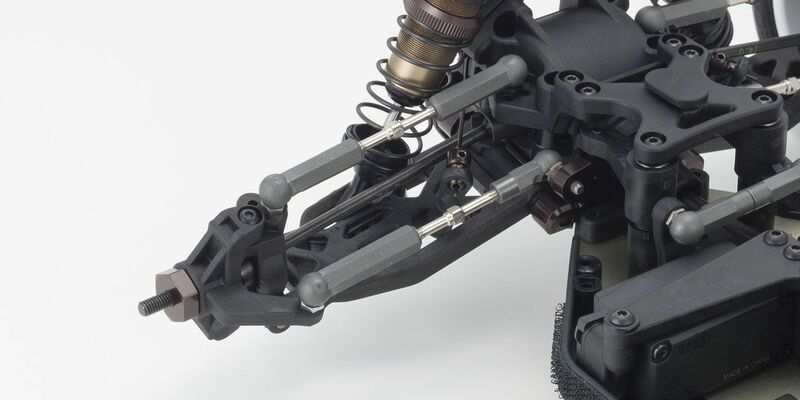 New design short gullwing type front sus arms allow deeper stroke to generate traction. In addition to short sus arms, wide aluminum sus holders produce a great feel for the ground. New position of tie rod mounting hole for the front knuckle increases steering angle. Hub carrier allows precision setting adjustments of caster angle to 7°, 10°, 13° by changing bushes to match different road surface conditions. 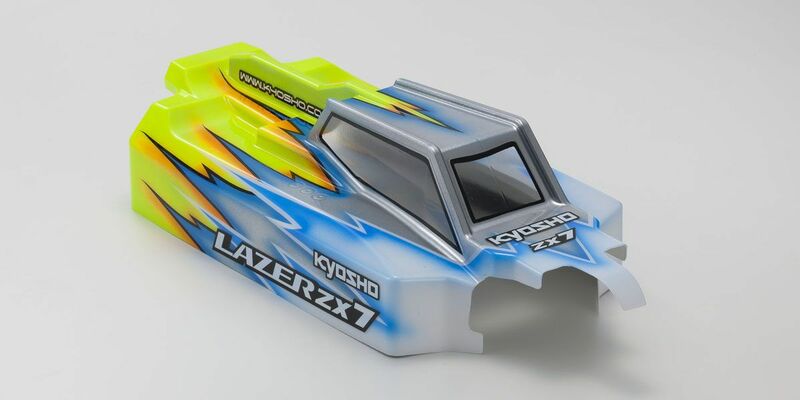 Aluminum shock caps were used on ZX6.6 but the ZX-7 has changed to reinforced resin for improved stability on jump landings and performance over rough surfaces. Optimized length of universal shafts minimizes trouble in the drive train and also feature pin retention rings on front and rear joint sections for reliability in meeting the demands of modern high-power loads. 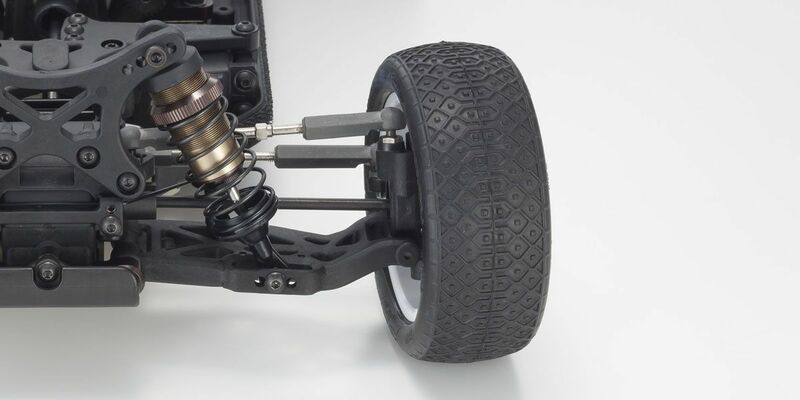 New design rear upper bulk with lower mounting of the upper arm is incorporated into the rear suspension that actively moves to suit high-grip surfaces. 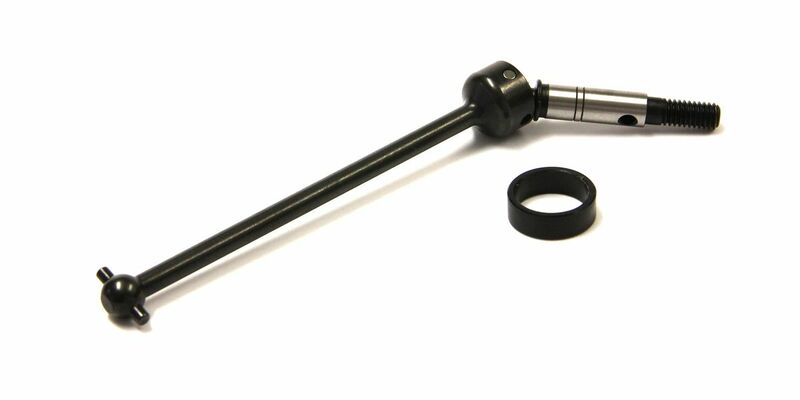 New design rear sus arm structure allows arm length to be changed with bushes in the sus shaft hole. 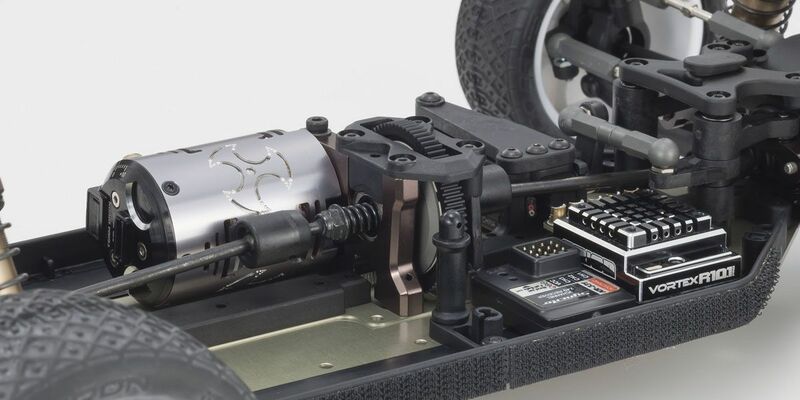 Instead of the center diff used in the ZX6.6, the ZX7 features a new lightweight direct slipper incorporating aluminum disk that not only delivers light throttle feel, but also dissipates heat to minimize power loss. Also, cup joint covers on the center shaft joints reduce wearing and prevent pin coming out. 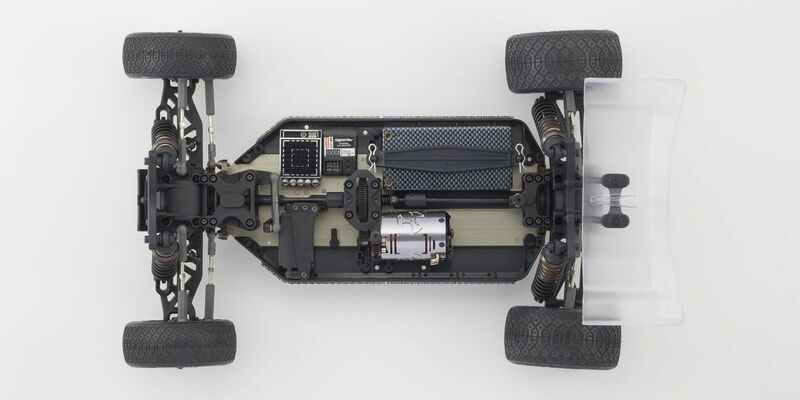 Completely new design aero body features a center fin, narrow cabin, modified front window angle with ribs and smoother side parts for improved rectification for superior overall controllability and stability. 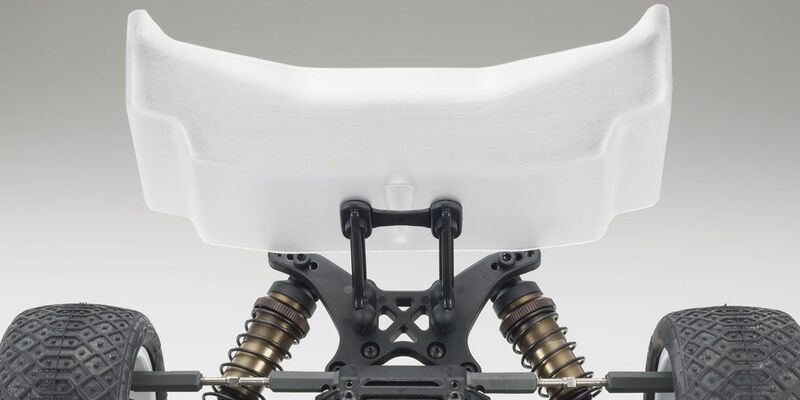 New rear wing design improves traction performance and durability with 1.0mm thickness. Bolt on attachment is more secure and delivers superior traction compared to previous hook & pin mounting.